I want to start by looking at where the moral centres in our brain are. There have long been debates on whether or not our morals lie only in the rational parts of the brain, but findings in evolutionary psychology and primatology in the last 50 years, now suggest that emotions play a key part in the origins of human morality. Neuroscience shows us that there are various areas of the brain involved when we make moral decisions, and they work in an overlapping fashion, so emotional responses can be balanced, and reason employed, all at the same time. When study participants were in MRI machines, they were asked to think about the trolley problem, a favourite in philosophy. It goes like this: five people tied to the tracks where a runaway trolley is headed, and one person tied to another track. You have the ability to flip the switch to make the trolley head towards the one person, rather than the five, (saving the five people, but sacrificing the one). This becomes an issue because you have to actively flip that switch in order to make that change. When the participants contemplated this ethical dilemma, multiple areas of their brains used for making moral decisions were lighting up at the same time. This is why so many of us struggle to come to a conclusion with the trolley problem, and even when we do we’re not sure it’s what we’d really do if we were in the situation in real life. Our empathy is fighting with our reason. In the book The Big Picture by Sean Carroll explains what’s going on by referencing Bill and Ted, from the movie, Bill and Ted’s Excellent Adventure. I’m going to borrow his analogy. ‘’Be excellent to each other’’ is their catch phrase, one rooted in what is known in philosophy as deontology. This is the golden rule (do unto others as you would have them do unto you) so as it turns out, Jesus was a deontologist. The phrase would be changed to ‘’make the world excellent for each other’’ if you were basing it off of consequentialist viewpoint (do the least harm), and if you were a believer in virtue ethics (do the best we can) you’d just be saying ‘’be excellent’’. The problem is all of these different moral parts exist in your brain and work at the same time. We all have a deontologist, a consequentialist and a virtue ethicist fighting against each other up there when we make moral decisions, and this is confirmed in neuroscience when we see the different areas of our brain lighting up when contemplating difficult moral decisions. As it turns out, all mammals have these parts of their brains as well, in varying degrees. Newer research in primatology and evolutionary biology point to our emotions playing a big role in our moral decision making. As the reason part should be obvious to most of us (back to the trolley problem: five people is more than one, so logically it’s better to flip the switch) let’s dive a bit deeper into the emotional parts responsible for helping us make moral decisions, the part that is fighting with that consequentialist logic. Empathy is an umbrella term that includes three things; empathetic concern, emotional sharing and perspective taking. Our empathy, as well as our cognitive abilities to reason , evolved with us and are all parts of our ‘toolbox’ that help us come to moral decisions. The Moral Foundations Theory (Jonathan Haidt) maps out 5 to 6 moral pillars or foundations that we base our moral decisions on. Empathy (care and concern) and what is known as reciprocity (which is a sense of justice and fairness) are two of those pillars….and work as a strong foundation for our moral codes. There are other things involved which make up the remaining pillars, but if you remove these first two pillars, morality crumbles. Justice and Fairness are important ingredients when we’re talking about Human Rights, the entire idea of us being equal in our rights is borne out of these ideas. Fairness is a mental instinct and behavioral rule for solving conflicts of interest, and is spawned from social living and social hierarchy. Behind it are two major selection forces, reciprocity for mutual benefit and compromise for social harmony, both of which are critical for maximizing the net benefit of cooperation. Fairness can be seen in many animals, something that was long thought only to exist in humans. Now, according to what is known as the principle of parsimony (aka Occams Razor), if a trait is seen in both humans and animals closely related to us on our branch of the evolutionary tree, it’s accepted that trait existed in our common ancestor before we split ways. Fairness judgments also require higher cognitive functions. 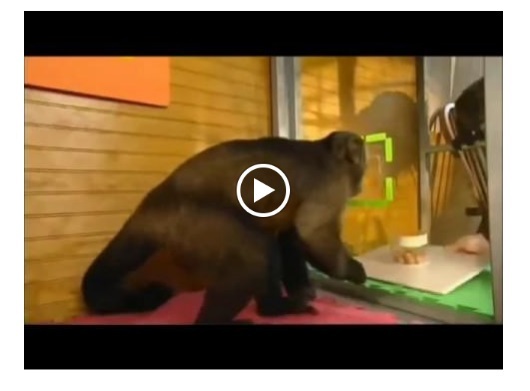 There is a now-famous study of capuchin monkeys which you can watch online. Both monkeys have been taught the ‘’monetary value’’ of trading a rock or token and getting food, and in this experiment they are side by side and can see each other through their individual cages. Capuchin 1 gives a rock, gets cucumber, eats cucumber. All is fine, until Capuchin 2 gives a rock and gets a grape! Grapes, as most of us know, taste sweeter and nicer than cucumber, and to these monkeys it’s a preferable food. Capuchin 1 sees this and then tries giving his rock again to get a grape, but when offered another piece of cucumber (while capuchin 2 is still getting grapes), has a bit of what can only be described as a temper tantrum. He even throws his cucumber back at the lab assistant! As amusing as this story is, it shows that a sense of fairness goes back much farther in our evolutionary tree than we first thought. We shared a common ancestor with capuchin monkeys 30 million years ago! These types of studies have been repeated with many types of apes, and in many instances, such as in chimp groups, the chimp will stop accepting the grapes until their less fortunate friend also starts getting grapes instead of cucumber. What is fascinating is the fairness aspects and also the idea that the capuchin seems to understand things like ”half”…basic math skills involved here. Okay, so I’ve tackled fairness, but what about the idea of justice? Punishment and retribution for when you’ve done something wrong…how does this come from an evolutionary viewpoint? Again, the cooperation from living in social groups is the key. Punishment for not following the rules of your society can be seen in plenty of animals that live in social groups and it’s been studied extensively in monkeys and ape groups. An unexpected example can be seen in vampire bats. Vampire bats can’t go more than 2 days without feeding, because of their high metabolisms. Because of this, they have been seen food sharing…they regurgitate blood to help others in their group if they haven’t been able to feed that day. As it turns out, they actually keep track of who has fed from whom and who has repaid the favours. They will actually punish cheaters within their group who don’t hold up their end of the deal, by NOT food sharing with them and will instead, in extreme cases, allow them to die. Examples of empathetic concern are even easier to find in the animal kingdom. Experiments with rats have shown that they will not take food if they know their actions will cause pain to another rat. In lab tests, rats were given food which then caused a second group of rats to receive an electric shock. The rats with the food stopped eating rather than see another rat receive a shock. Surprisingly, birds like ravens have also been shown displaying empathetic behaviour. After conflicts, birds can be seen preening or using beak-to-beak or beak-to-body touching to console the victim of a fight. It happens most often if the victim bird has a kinship or pair-bonding with the consoling bird, but also happens even if they were unrelated birds, just at a lesser rate. Birds are not closely related to us at all on the evolutionary tree, in fact they split off at the ancient reptile stage, so it’s unlikely due to the rule of parsimony I mentioned earlier, but rather convergent evolution, meaning that empathy evolves as part of living in a social group. Neuroscience has a surprise for us as well. Spindle Cells, also known as Von Economo Neurons are one of the components in our brains that help empathy centres function, and it’s one of the things they can look for when diagnosing autism (which affects the ability to use the empathy umbrella at various levels). 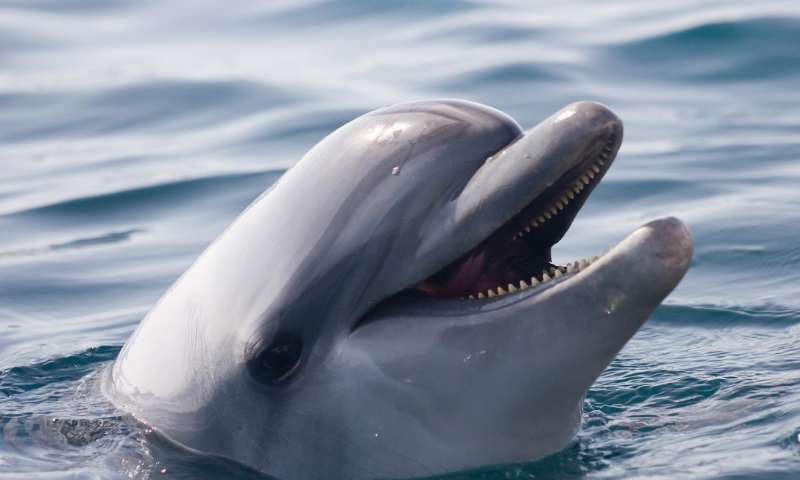 Along with humans, primates, raccoons and elephants, it also turns out that whales and dolphins have spindle cells, in fact they have lots of them. This explains a lot of the altruistic behaviour we see in dolphins and humpback whales. They have been seen helping all sorts of species other than their own including humans. This suggests that complex emotional judgments like empathy may have evolved much earlier in our evolutionary history. There are a plethora of examples out there showing various levels of fairness, justice, emotional sharing, concern, and perspective taking in all sorts of animals; Bats, crows and ravens, rats, dogs, dolphins, elephants, prairie voles, all the way up to the primates and higher apes. Our strong feelings of reciprocity (justice and fairness) and empathy (care and concern) are grounded in our evolutionary roots. So now, let’s look at human value, and uniqueness. Andy [discussion partner on the night- Christian Apologist] is going to tell you that human value comes from God. That dignity is inherent in humans because we are created in the image of God. As I lack a belief in God, I obviously disagree. So where do I think it comes from? I think we constructed it. Just like you and I agree that money has a value, when it’s simply a piece of plastic paper and holds no *actual* value, we have also created an agreement that human life means something to us. These are social contracts we have constructed…we give each other value. That toolbox of things I said contribute to our moral decision making all come into play here, too. Elephants are known to mourn their dead, which implies a sense of value being present there; they valued the life of the animal that has now left their herd. Who gave them value for each other, if not themselves? As far as I understand Christianity, Jesus only died for us, not for elephants. Care and concern require a sense of value. Friendship and social bonding require a sense of value. Community and responsibility require a sense of value. If most animals, particularly ones that live in social groups can show value to each other, then this isn’t unique to us at all. So, we are left with human uniqueness. Why we’re special. I agree we are, but also agree we aren’t. Chimps laugh and cry, manipulate and plan, they even have politics and culture and can do rudimentary math; Lemurs trade favours; Elephants mourn their dead; Dolphins have different languages; Dogs comfort us when we’re sad; capuchin monkeys understand the idea of money and mathematical ideas like ‘’more’’ ‘’less’’ and ‘’half’’; orangutans use ‘’instruments’’ to create musical sounds as a function of communication….even our ability to create superstitions can be observed in animals like pigeons and chimps! – a higher consciousness that allows us to contemplate the meaning of life in the first place. As far as the animals on earth currently we are unique in these respects. However, we’re not unique in the history of the planet…we are not some special chosen species amongst the animals…there have been other human species on earth. 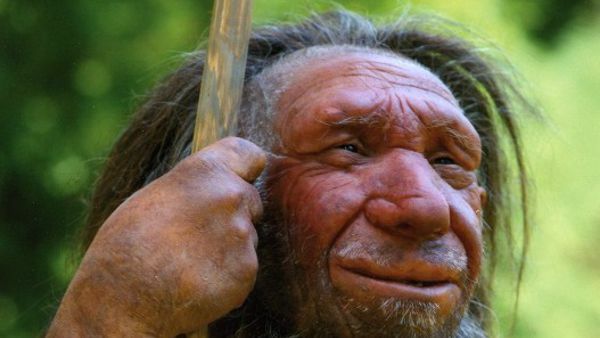 We know the most about homo neanderthals, who actually had larger brains than us. Our knowledge of them includes that they had symbolic art and jewelry, the ability for language, they knew how to create fire, they buried their dead, and were skilled toolmakers far beyond rudimentary items, made and wore clothing, and built shelters. We even mated with them, and our DNA proves it. They really weren’t that much different from us at all as far as what their capabilities were, but they were a seperate species. There are at least 8 other species who are share our classification of ‘’homo’’ directly in their name, which literally means human, and another 13 more species classed as early humans. Multiple human species have evolved in parallel, sometimes even existing side by side. So how unique were we as far as our branch of the evolutionary tree goes? As it turns out, not much, it’s just that we’re the last ape standing. Human rights without God are completely possible, when you root your understanding of it in evolution. Evolution of our morals using a bottom-up method, evolution of our fairness and justice stemming back from before we were human, and evolution of our self-constructed value. We aren’t simply ‘’evolved brutes’’ as I’ve read critics of this viewpoint say, we are evolved to cooperate, love, protect, care and nurture each other as well. I wonder what human rights would look like if Neanderthals had managed to make the journey with us, or if their religion would say they were the chosen ones? It appears to me that the narrative of the ‘brutish animal’ is used as a reason to reject the idea that our morals and ethics find their building blocks in our animal origins. It ignores that natural selection would also select for things that ensure group cooperation and it ignores the evidence we see in nature that a brutish nature is not all that exists There is kindness, love, caring and nurturing to be found in the animal kingdom…wisdom, learning, morals and altruism as well. And it turns out we hold all these attributes, the aggressive competitive nature, as well as the caring and cooperative nature. The Evolution of the toolbox of things I explained in my introduction is perfectly acceptable as a method to ground our ideas of morals, human value, justice and human rights in . Evolution predicts different moral codes based on cultural differences, evolution predicts morals that are relative to our societies and our knowledge and understanding of the time we live in, evolution predicts the diversity of life, and evolution even predicts variations of Gods and interpretations of what those Gods require or want from us. Evolution predicts that animals would also have evidence of moral codes, empathy and value for each other…and as it turns out, that is exactly what we see in the reality around us. Nice debate, but… what does it all really mean? First the trolley problem… the designer of this is evil. It says nothing about those who stumble into the problem. Second, we need to split political/religious/cultural/tribal/individual/natural ethics/virtues. Self preservation becomes the prime directive. Once you lump it all together it becomes… well… mud. We can build up our individual ethical system based on a few assumed truths, like equality, reciprocity, truth, logic and reason, survival being the ultimate test of the correctness. But we have gone beyond survival to space ship earth overpopulation, so what is the value of a human life now? Excellent presentation, Karen! Ongoing research in biology has thoroughly demolished the core conceit of the judeo-christian-muslim religion, that we are not animals but some special creation by, and in the image of, a god. Clearly we are animals like the others, albeit high-functioning (in some respects, anyway). You have very ably shown that even in the emotional and intellectual realms, we are not unique. Many animals have developed social functions beyond the merely instinctive, including collaborative and empathetic impulses that support the survival and welfare of the group, not just the passing on of an individual’s DNA. And that is where morality must come from. There is no god to dictate a moral code to us. There’s just us, and if we are to survive and flourish as a species we have to figure out how we can live together. Without reference to absolute rules, we must begin with common sense. The best of religious thinking starts with that too – we didn’t need a Jesus to come up with the Golden Rule, or a Moses to pass on the message that we shouldn’t kill each other. But as we go beyond the obvious, referring for guidance to some arbitrary and antique religious doctrine just gets in the way, divides us and holds us back.